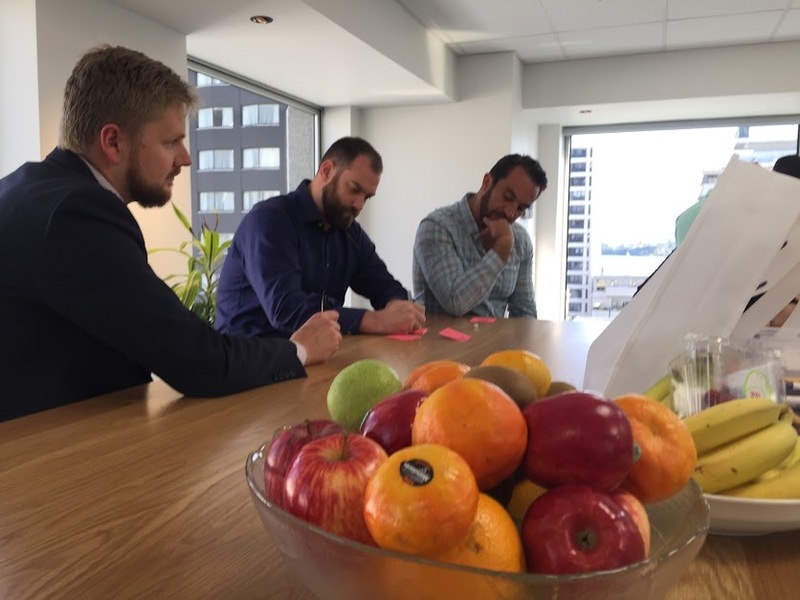 It was a pleasure to be invited to give a presentation to the team at Potentia, to help refresh and reinforce their understanding of Agile. We had a time-box of 60 minutes. 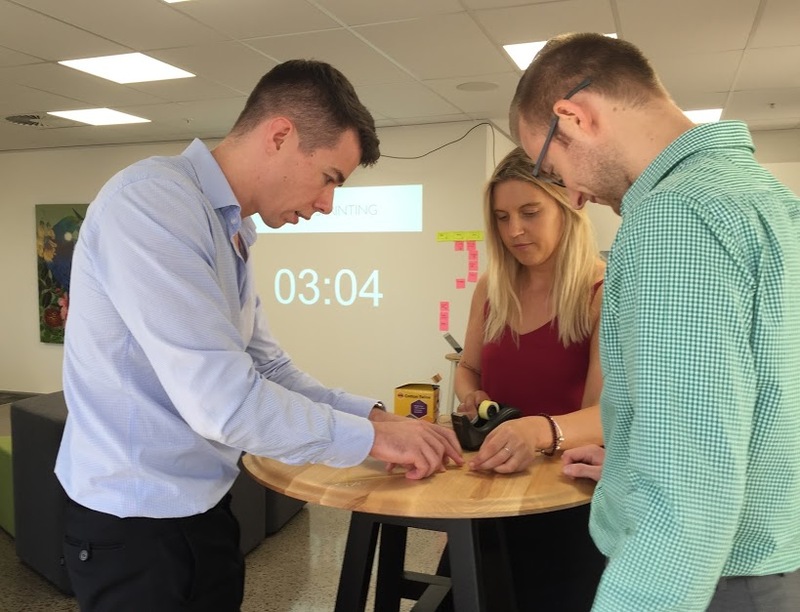 Rather than deliver the presentation lecture style, we got deep into some experiential learning to get a taste of Agile in the real world. 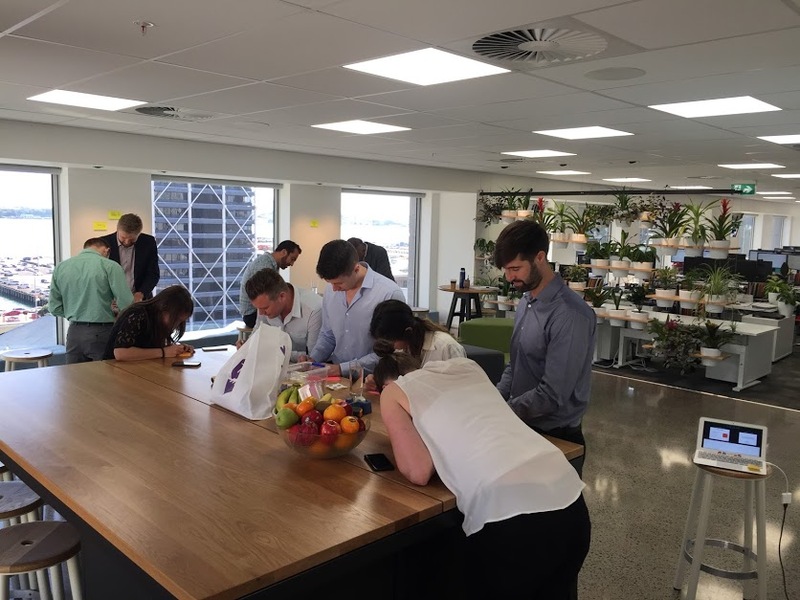 It was great to see a bunch of recruiters invested in learning to better help their clients. 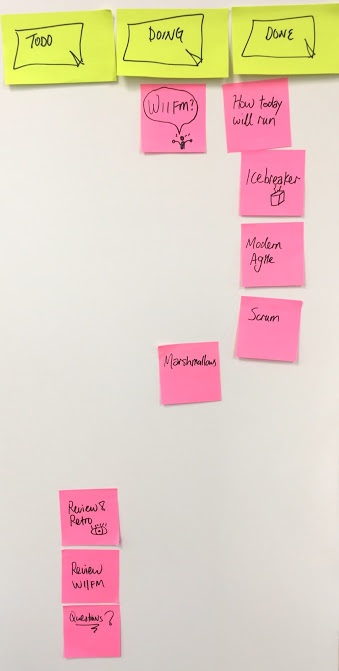 The workshop was facilitated in a visual way, with a Kanban board depicting our progress through the workshop, and clearly showing to expect next. Kanban boards are great for running meetings, to keep you on track! We kicked-off with a exercise illustrating the value vulnerability-based trust by sharing career screw-ups, then led into Joshua Kerievsky’s Modern Agile Values, discussing how teams do their best work in a safe environment where people can trust one another. We learnt about the technique of Brain-Writing, which we used to generate ideas about what everyone wanted to get out of the day. 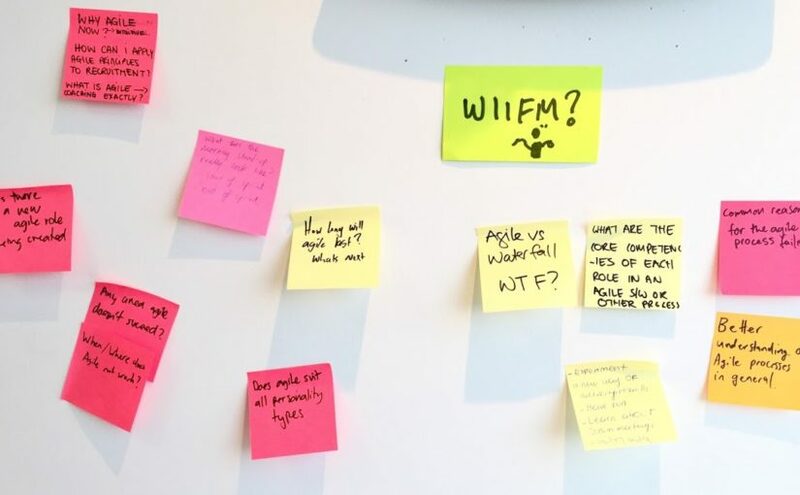 Topics ranged from the Spotify Engineering model, to the future of Agile. We didn’t get to discuss all the ideas, but we got them all on the wall, and we listened to one another to get the best value out of the workshop. Then we built spaghetti towers, and put a marshmallow on top. Some towers crashed, and others stood tall with very creative rule-bending (e.g. using only a bit of the marshmallow), but we learn the value time-boxed delivery and incremental prototyping. We discussed what would have happened if the brief was changed part-way, such as using a piece of foam instead of the marshmallow. We then finished off with condensed “sprint reviews” showcasing the structures to a judge, and a “sprint retrospective” to reflect on how everyone worked as part of a team. Congratulations on everyone who built a tower!